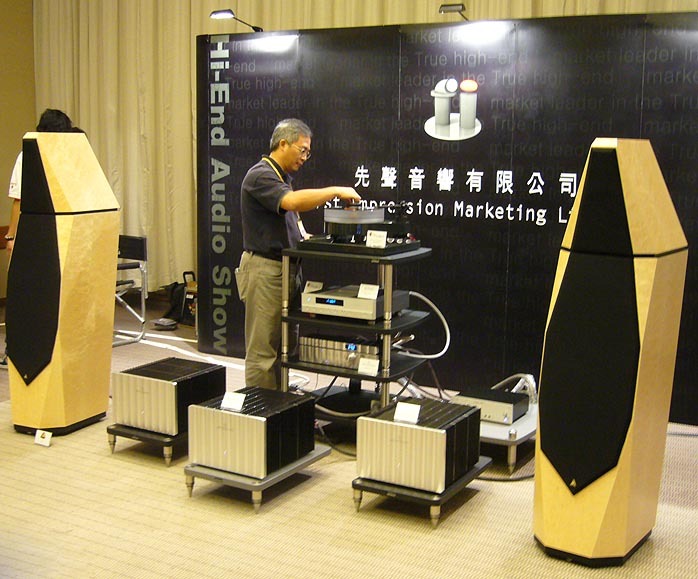 Of all the audio-related shows held in Hong Kong every year, this one is considered biggest in scale and drawing the most attention from both local and international visitors. The show this year ran from August 11 to August 13. 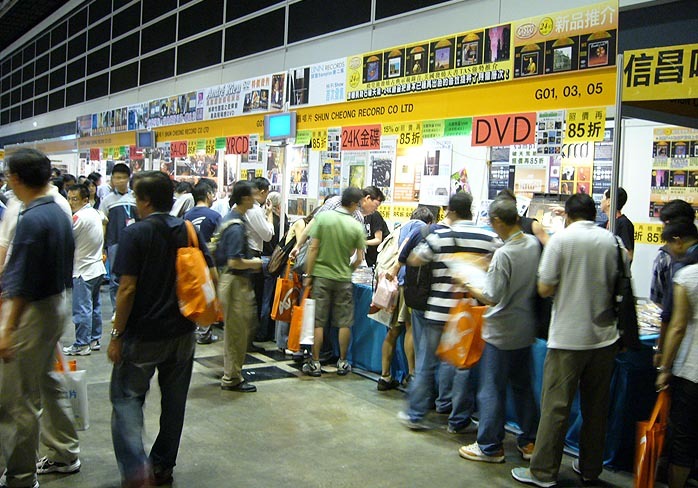 During this period, the local newspaper reported that as many as 7000 people visited the HK Convention Center on the first very day of the show. The standard of the show is improving with each passing year. Most of the exhibitors use the seminar format, with the manufacturers/designers formally presenting their new products to the public. Scheduled comparisons between recorded vocal music and the actual singers were also conducted in-between show exhibits. Local singers including Danny Summer and Albert Au participated alongside with many singers from mainland China. As a result, long queues waiting for entry to seminars and performances could be observed all over the show every now and then on different floors. The atmosphere of the show and the sentiment among showgoers seemed very upbeat at large. As readers should probably be aware of, unsatisfactory room acoustics are often the case during show time and here proved indeed in the vast majority. My listening time per room was not only short but exposed to unfamiliar recordings. My mini coverage here thus merely reflects a very general impression of certain rooms. The very first room I wanted to listen to was the Kondo/Audio Note Japan exhibit. The electronics were expensive, probably totaling more than $200,000 [all price references in US currency]. 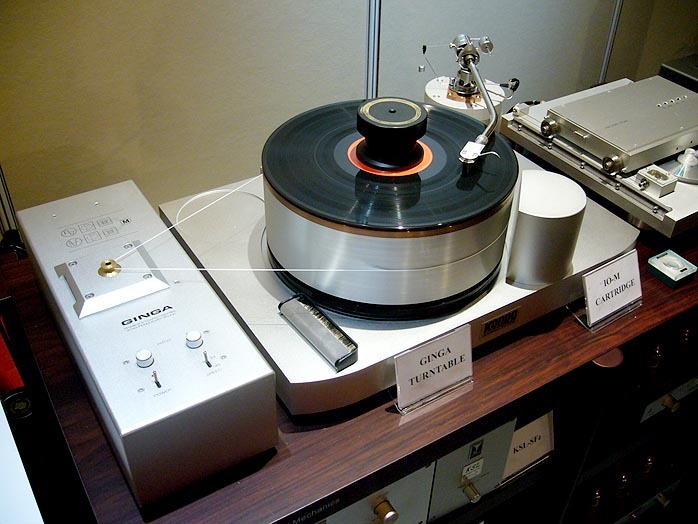 The M1000 linestage, KSL-DAC, Gakuon amplifiers with the latest turntable called Ginza with IO-M cartridge mounted on an SME arm with Ikeda shell were all in action playing LPs through the Living Voice Avatar OBX-RW speakers from England. Despite the small physical size of the speakers, the sound here was full-bodied and endowed with real energy. The vocal artistry of Nat King Cole expressed by this Kondo system on vinyl was detailed and exuded a strong sense of immediacy. In fact, this was the only room I visited twice. Need I say more? 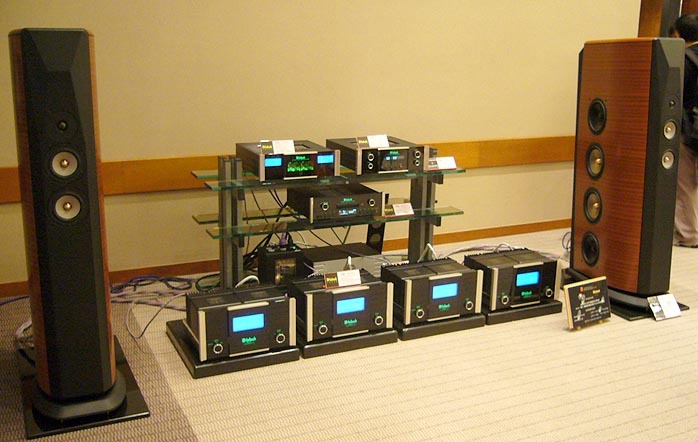 The Naim setup was good, too. I was particularly impressed by their latest CD player called the CDS555. 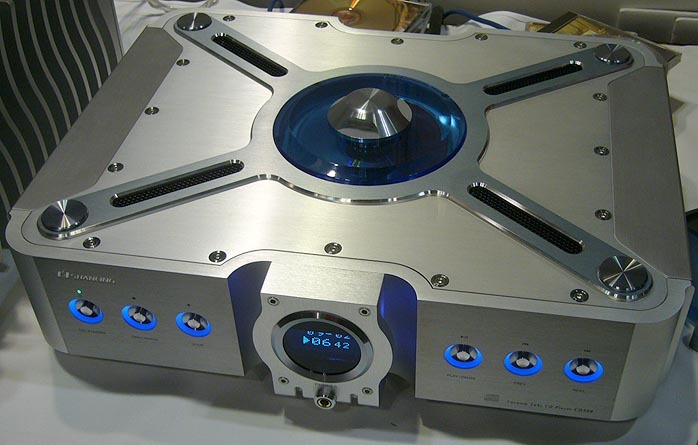 It is an expensive one-box CD player with a separate power supply the size of a stand-alone preamp with a price tag of around $25,000, surpassing the price of Linn's legendary CD12. The midrange portrayed by this CD player was very natural. 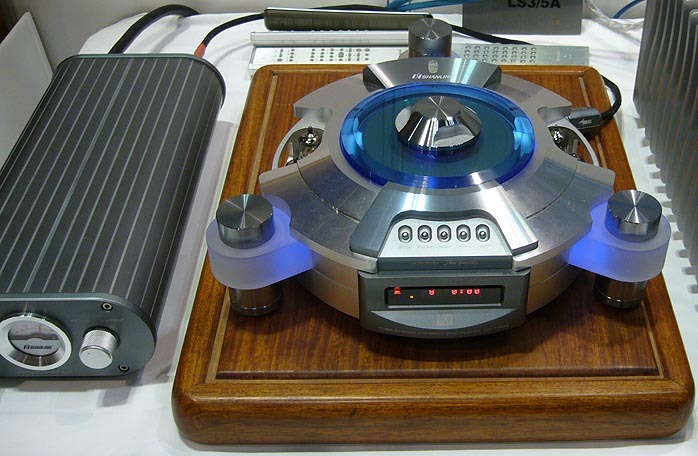 Most other CD players showcased a pleasing and honey-like vocal range at the expense of detail. Not this one. 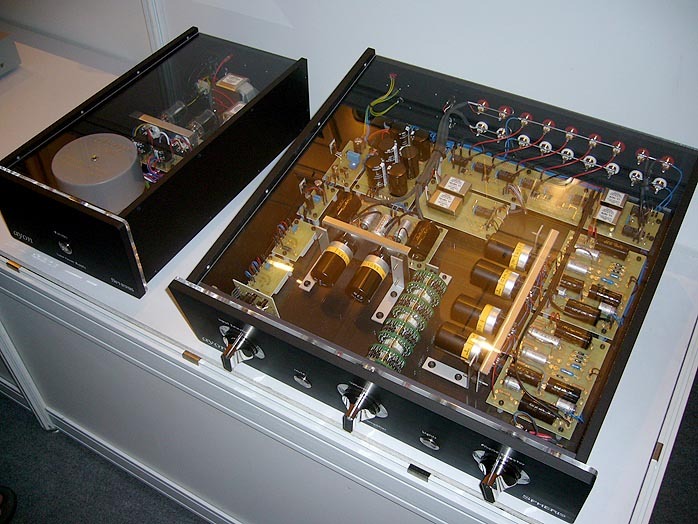 The CDS555 had a midrange that seemed free of any compression. Playing vocals over this CD player was a real joy. The Wilson Audio Alexandria X2 driven by reference MBL electronics was sensational. The sound was large, powerful and dynamic. The strength of this system was revealed clearly whenever large orchestral recordings were played. 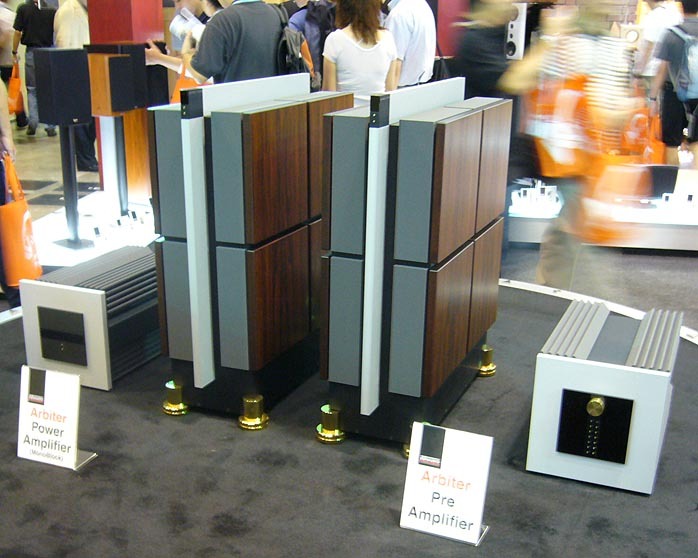 The 5-channel MBL speaker system, also driven by MBL electronics, was quite good as well. 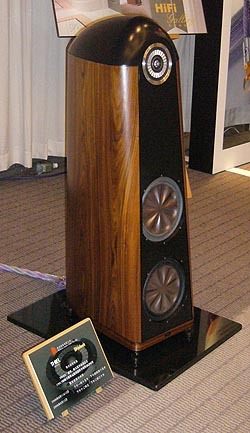 The dimensionality portrayed by the omnipolar MBL speakers filled the room with a virtual soundstage that enjoyed the occasional achievement of image palpability. 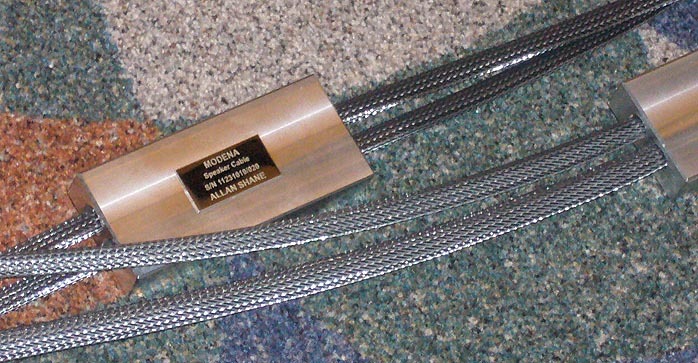 At $55,000/pr, The Modena speaker cable by Allan Shane is perhaps the most expensive speaker cable in the world at present. I only know its claim to fame include superconductors said to be outrageously expensive. 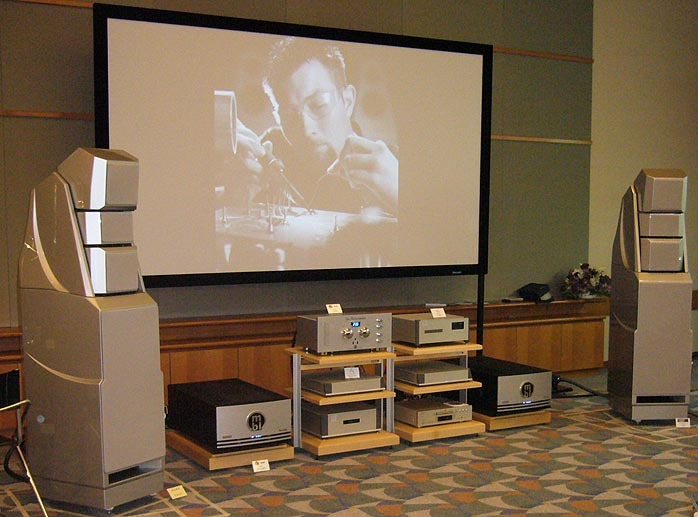 I am not too familiar with the theories behind the technology but the Krell reference system wired up with the Modena had an extraordinary sense of calmness and coherence over the South-African Vivid Speakers. It will be a very exciting shootout if there is an opportunity to compare the Modena against the most expensive speaker cable made by Transparent, MIT, Stealth, Siltech, Kharma and Argento. 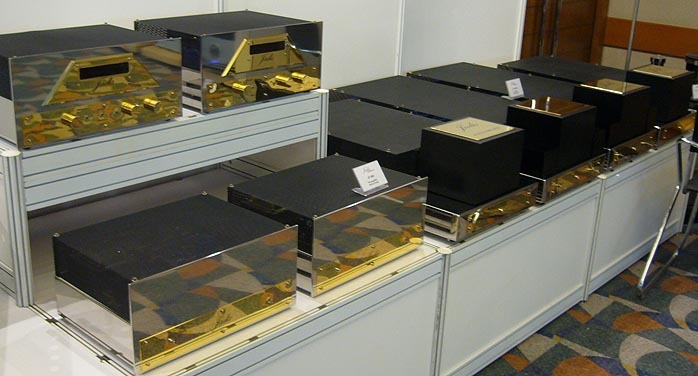 The Modena speaker cables are manufactured overseas but proudly invented by Allan Shane of Hong Kong. 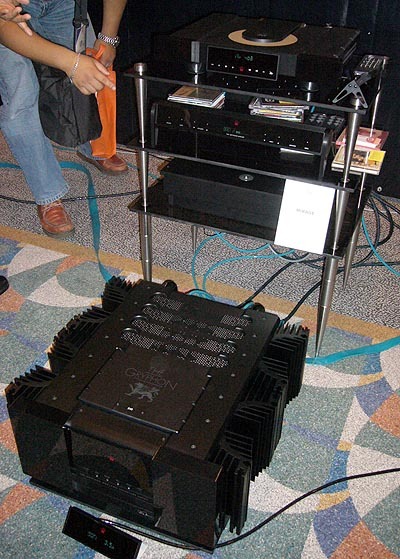 The Statement LP system by clearaudio together with Rockport's Grand Mirage Speakers was another room worthy of awe. The Statement turntable in its own right deserves a closer examination, as a cost-no-object masterpiece meticulously engineered and crafted in Germany. I was told how the transportation of the Statement to the HK Convention center required more than 10 strong men to accomplish. 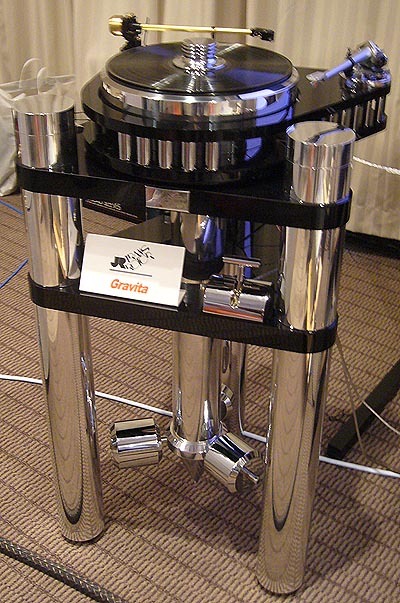 On the other side of this equation sat the ultra-expensive La Gravita by Transrotor (retail price around $150,000) that was much smaller in size. It seems a pity that the Australian-made Continuum/Caliburn system was nowhere to be seen. Hopefully, someone in Hong Kong will import it soon. 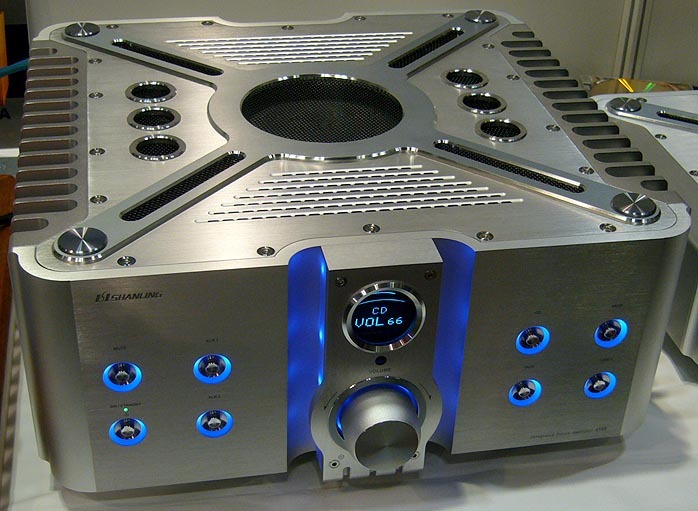 The dubious privilege of world's most expensive amp might have to go to Dynaudio's Arbiter monos which, at ca. $380,000, beat out even the former WAVAC heavyweight champion. There were many other reference-level electronics displayed during the show but sadly not hooked up for active demonstration. 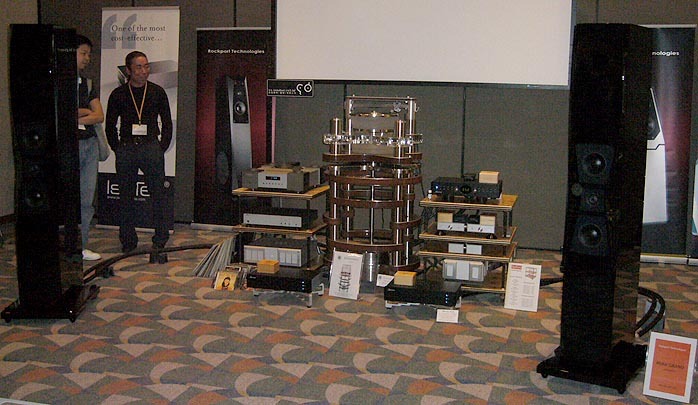 This included the flagship Jadis JP800 line stage, JA800 amplifiers and Ayon’s Spheris reference line stage for example. 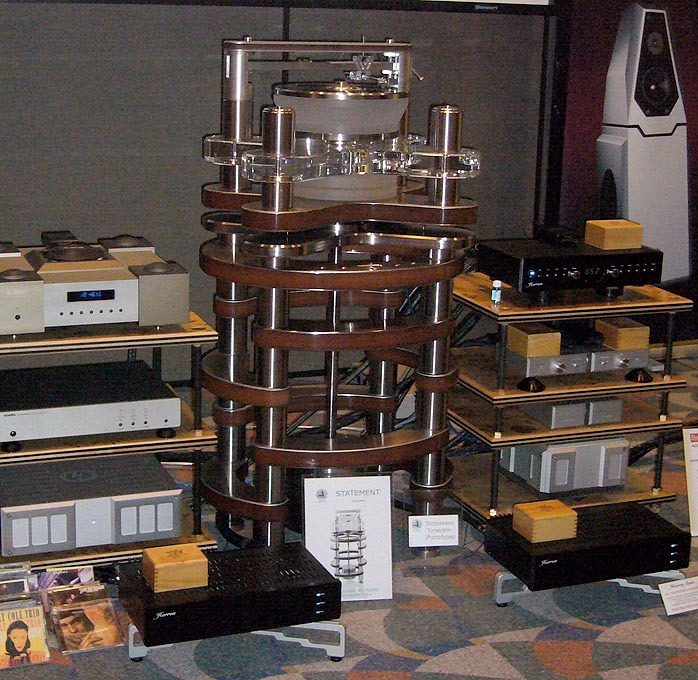 Gryphon displayed their latest flagship preamp called the Mirage in conjunction with the Antileon Signature amplifiers. The front panel of the Mirage can be detached from the main unit. It is a very stylish design. I am curious to know how the Mirage fares against the previous flagship Sonata Allegro preamp. 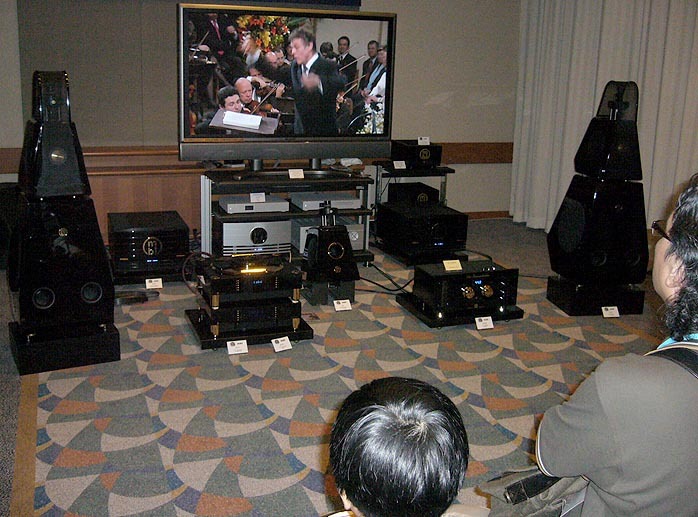 To conclude my brief informal impressions, the show was colorful with many interesting new audio goodies. 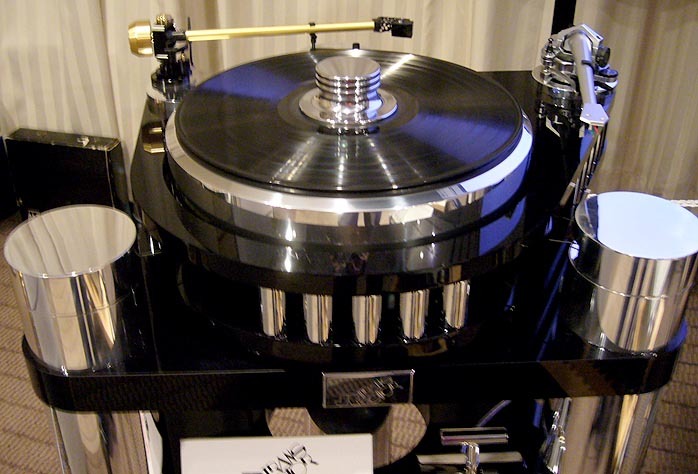 I noticed a substantial revival of interest in vinyl. 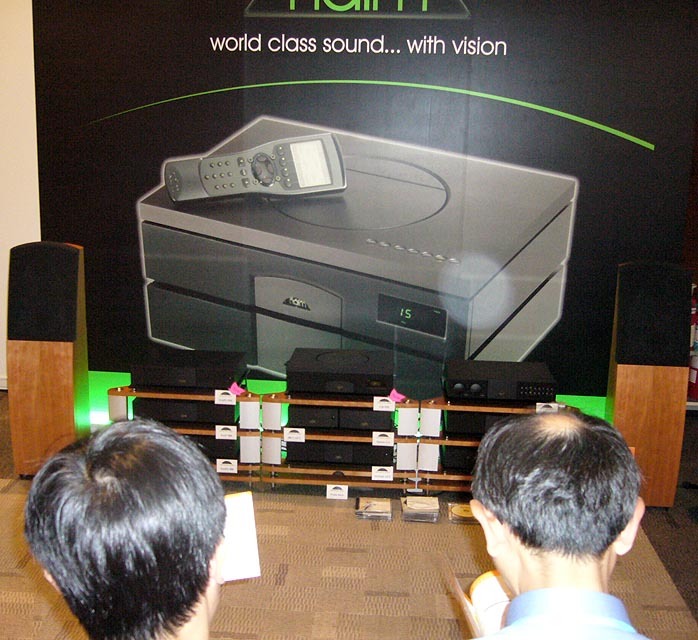 Audio consumers in our insular Hong Kong are no longer restricted to a limited selection of household brand names because of the many promising newcomers that add unique choices. Besides which, the knowledge of audio consumers is improving quickly too, thanks to the considerable advances of the Internet and the subsequent importance and vitality of audio forum discussions worldwide. Lastly, I got a warm and fuzzy feeling that the notion of home theatre overtaking 2-channel music as predicted by many pundits as little as a few years ago does not seem to hold water, at least not from the perspective of this writer and the evidence presented by this show.